Miss Anne Pullyblank is a Consultant Colorectal surgeon appointed to North Bristol NHS Trust in 2003 and was Clinical Director for Surgery from 2010 to 2015. 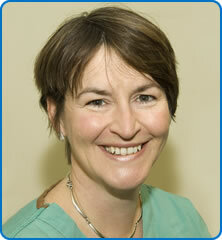 Anne has been involved in medical education as a Clinical Tutor and has an interest in patient safety. She was chair of the Trust Clinical Risk Committee for 2 years. Anne was part of the Safer Patient’s Initiative, working in the peri-operative work stream. She then became faculty for the peri- operative workstream for the South West Safety collaborative. Anne is now Clinical Director for Patient Safety Collaborative at West of England Academic Health Science Network. Anne was shortlisted for a Health and Social Care Award in 2009 for work on the surgical safety checklist, winner of a National Patient Safety Award in 2011 for work on nasogastric tube safety, shortlisted for a NHS leadership award in 2012 and shortlisted in 2 categories for a national patient safety award in 2014 for work on reducing surgical site infection. Anne is currently lead for lower gastrointestinal surgery and emergency surgery at North Bristol NHS Trust and is lead for the West of England Emergency Laparotomy collaborative. In 2016, the Enhanced Recovery team won hospital team of the year at the Bristol Evening Post Awards. This year In 2017 Anne was shortlisted with a team for Cancer Team of the Year at the BMJ Awards for developing an electronic cancer referral system.